The G9.330 is a versatile carrier equipped with a DEUTZ 6-cylinder engine developing 167hp and integrating the AUTOdrive, AUTOspeed and ECOdrive smart management devices to give you an exceptional reduction in consumption. Regardless of the working conditions, fully automated power and transmission (anti-slipping, right-left flow) ensure excellent manoeuvring capabilities and great handling. 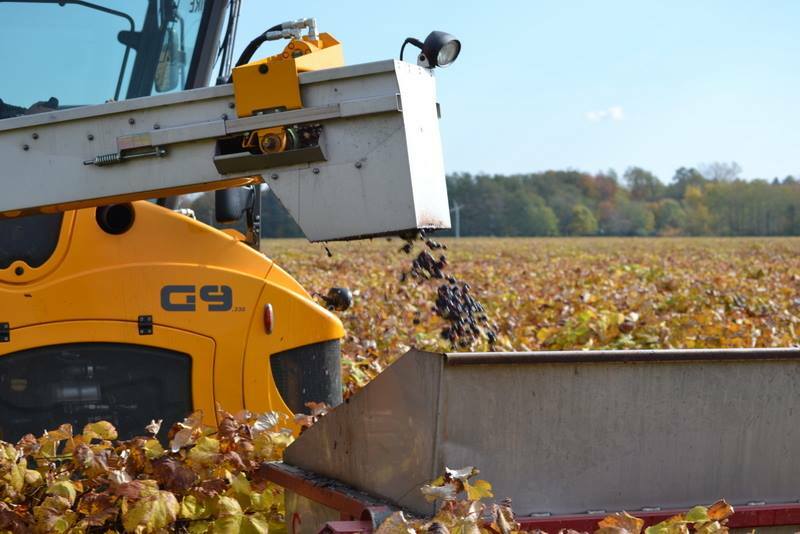 Whatever the work to be performed - harvesting, spraying - the G9.330 is sure to meet your needs. The VISIOcenter driver cab offers every feature in terms of comfort (air conditioning, air sprung seat, etc.). Alignment with the row is optimised and 360° vision gives you total control over the surrounding environment. Simple and intuitive to drive, thanks to the large VIEWmaster touch screen, the exclusive MULTIdrive multifunction joystick and the CONTROLmaster lateral control console. 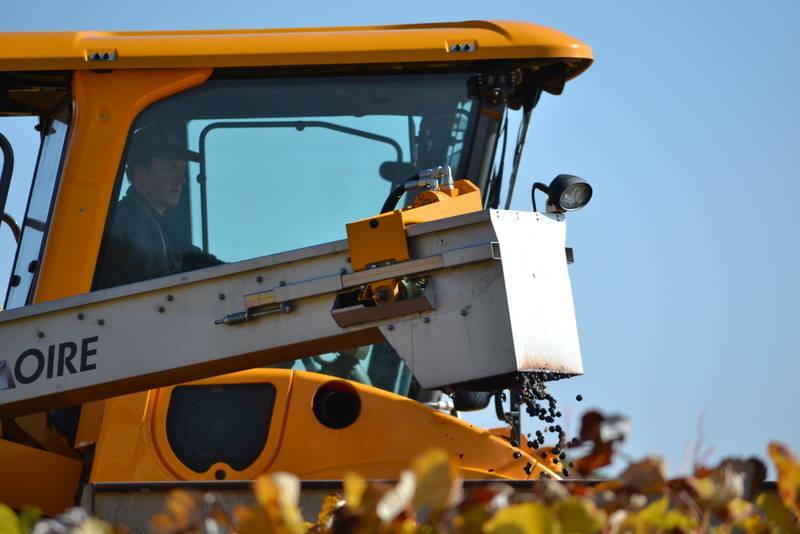 You can check all of the machine parameters at a glance, allowing you to concentrate on the harvest. 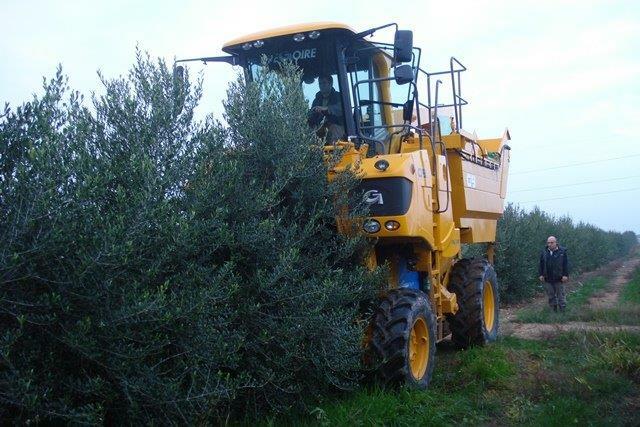 There are 3 different versions of the G9.330; one version perfectly adapted to harvesting large heavily-trained vineyards with high yields, a second specially designed for harvesting super-intensive olive groves, and a third versatile version, able to harvest both heavily-trained vineyards and super-intensive olive groves. 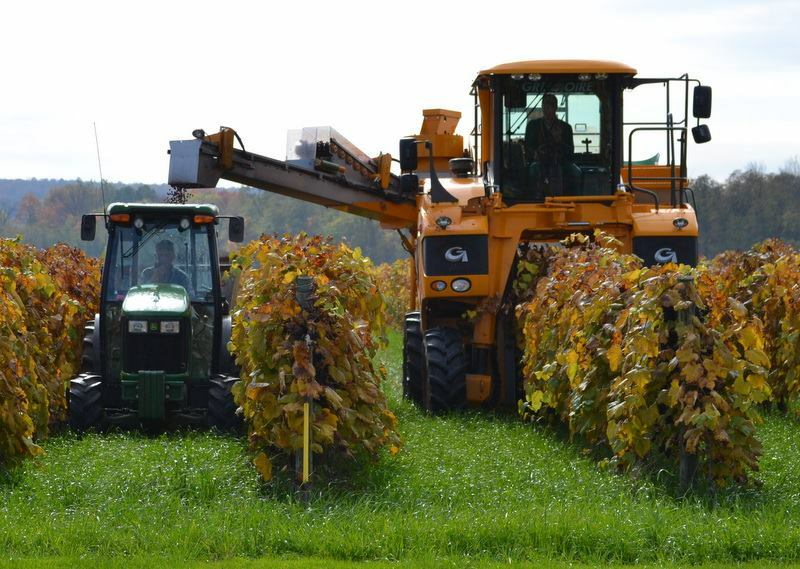 What sets these 3 models apart is a harvester head based on the ARC harvesting principle, a benchmark in careful handling of plants and speed of harvest. 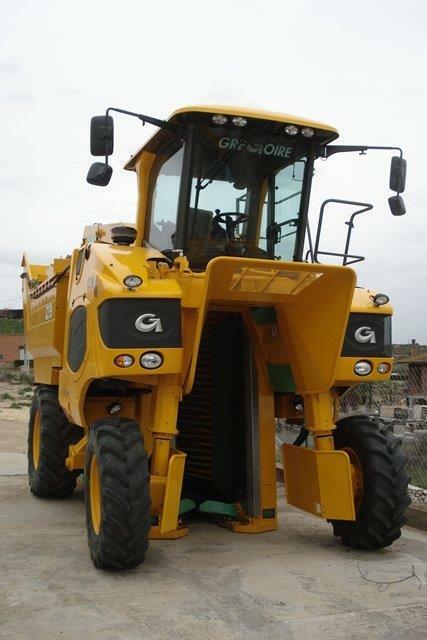 For greater yields, the G9.330 can be equipped with an unloading arm. The G9.330 requires a minimum of maintenance. 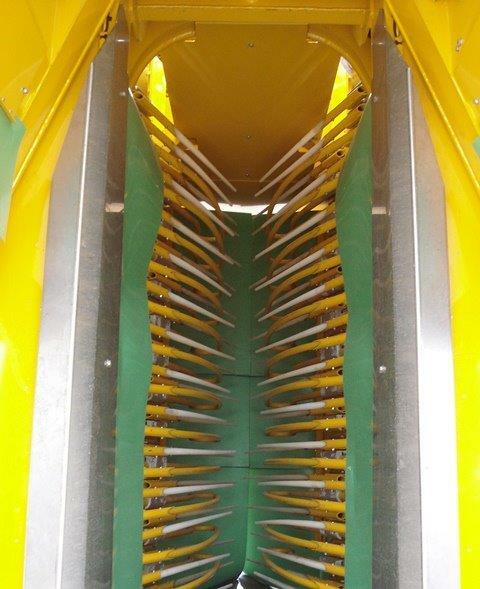 Daily cleaning can be performed quickly thanks to the large space provided in the harvester head. A large, secure platform allows daily maintenance of the machine to be carried out with ease. 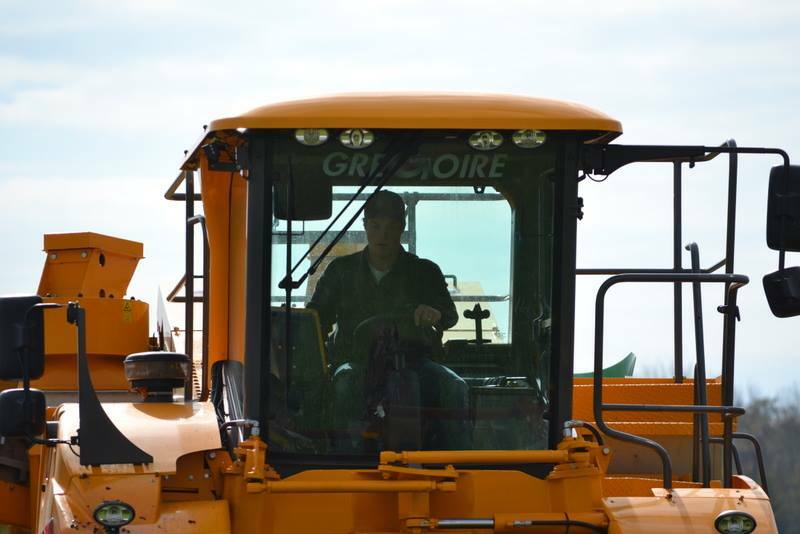 Preparing your machine for winter storage at the end of the season is very simple and inexpensive. 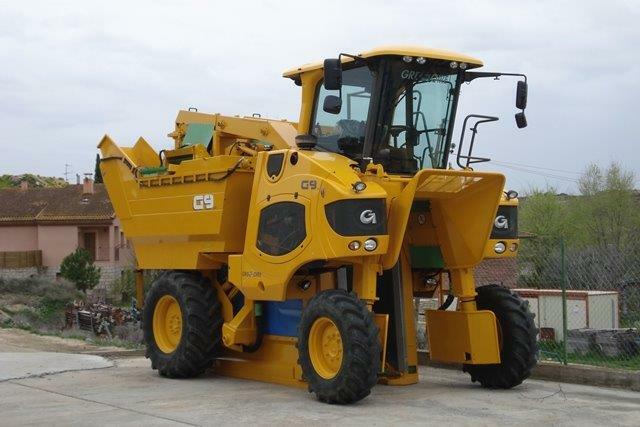 The G9.330 is part of a range of equipment produced by GREGOIRE. 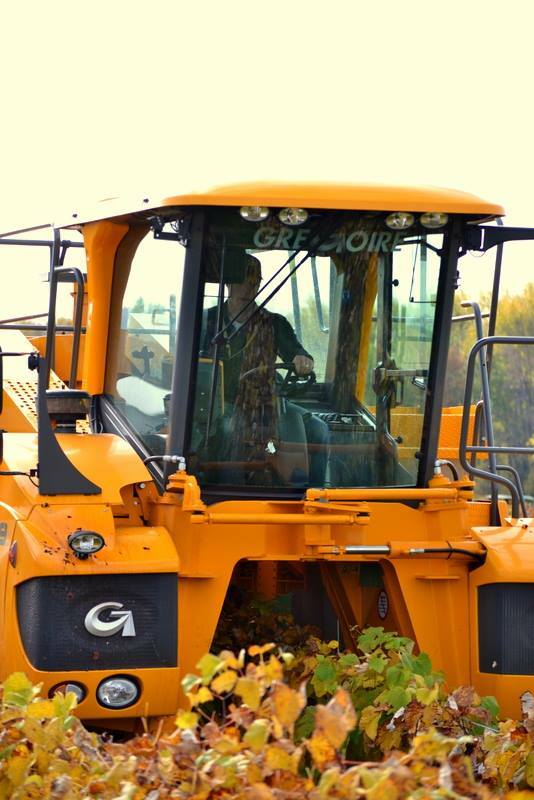 The G9.330 is a versatile carrier that will be of use throughout the growth cycle of your crops. It can house tools on the front lifting tool holder, and in a rear spraying cell. Thanks to the ISOBUS and TOOLintegration systems, the tools are controlled directly from the cab without adding any accessories, as your holder directly recognises the installed GREGOIRE equipment. AUTOdrive automatically adapts the engine speed to the ground speed when driving. This integrated management of the engine speed gives the transmission unrivalled flexibility and significantly reduces both consumption and the noise level. The joystick can also be used as a forward drive control. AUTOspeed is used to perfectly regulate the working speed, regardless of the terrain. It is simple to activate via an easily accessible button on the joystick, allowing you to return quickly to the programmed speed. Easily accessible, the CONTROLmaster control console means you can monitor all of the settings on your machine. Its simple, intuitive pictograms adapt to whatever tool is connected to the carrier (ISOBUS system), freeing the cab from the need for other bulky controls. 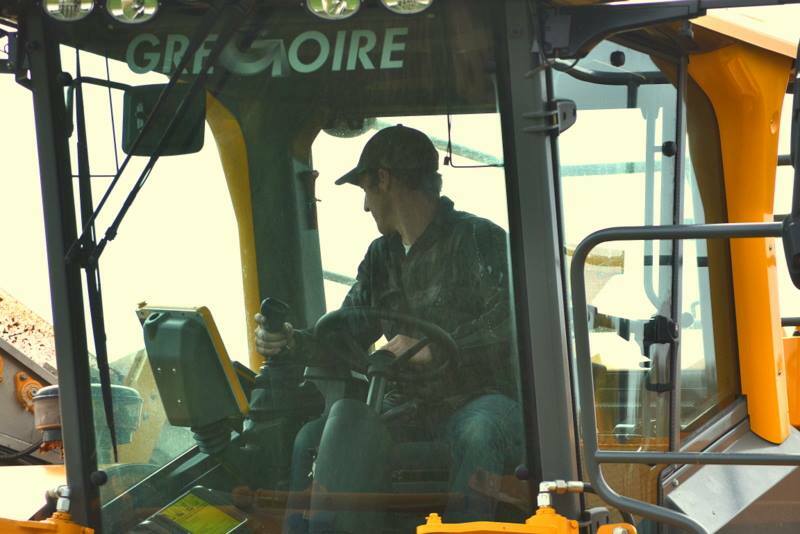 The MULTIdrive joystick (GREGOIRE patented) groups together all of your machine's functions (forward drive, tilt, tools, etc.). 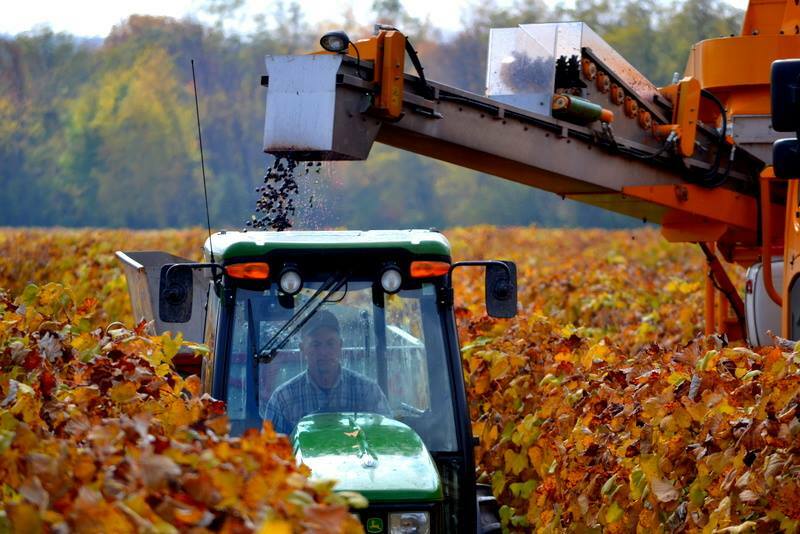 The driver can control the harvesting machine with just one hand, and focus on the harvest. SOFTfloat is a device with pendular suspension on both the harvester head and the feeder channel chassis. 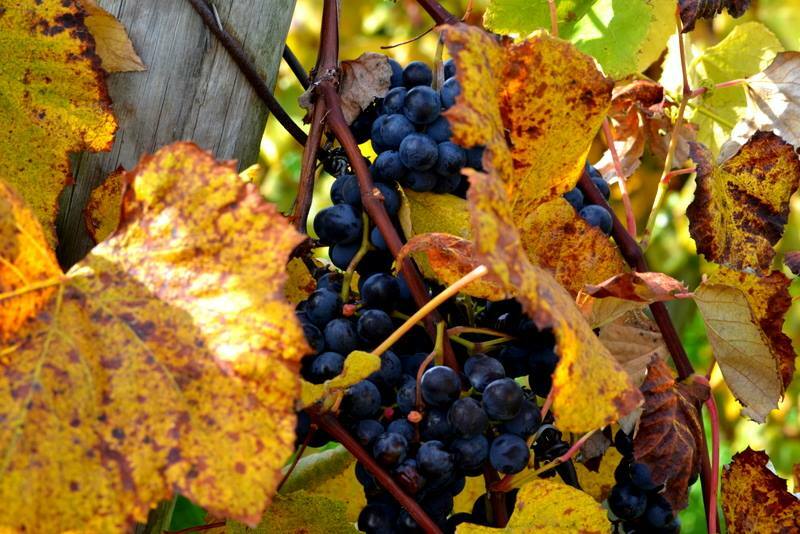 It follows the row and the trellis perfectly, ensuring careful handling of the vine for a perfect harvest. Further confirmation that the GREGOIRE harvester head is the most flexible on the market. With TOOLintegration, GREGOIRE versatile carriers are pre-equipped as standard to be versatile, allowing a GREGOIRE spraying unit or tool to be easily installed. ISOBUS technology allows this equipment to be controlled directly using the existing controls in the cab. VARIwidth enables the toe-in to be adjusted from the cab. 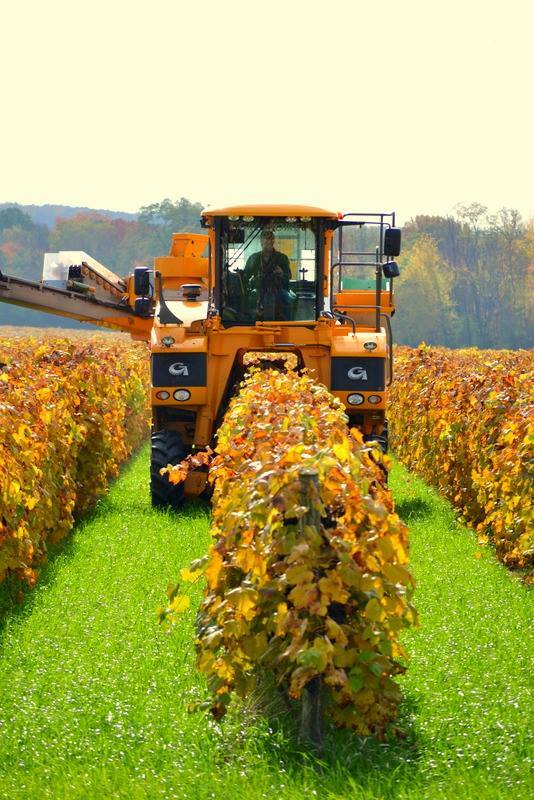 You can adjust the distance between the shakers quickly and easily, ensuring careful handling of the vine and a quality harvest. This adjustment is hydraulic, achieved by tilting the eccentric block, and is simple, reliable and maintenance-free. VARIwidth enables the toe-in to be adjusted from the cab. 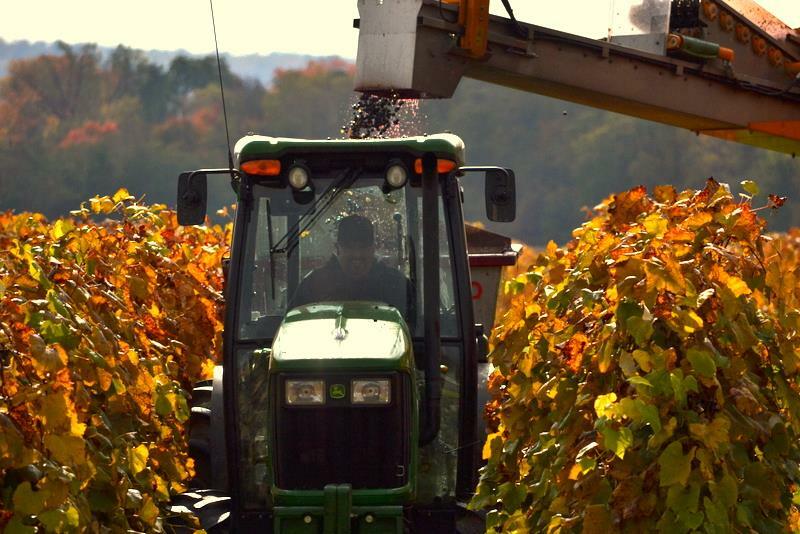 You can adjust the distance between the shakers quickly and easily, ensuring careful handling of the vine and a quality harvest. This adjustment is made by moving the shaker supports and offers a large range of possible settings. VIEWmaster, the largest colour touch screen on the market (13"), groups together all of the information required for monitoring your job. This display makes navigation tasks quick and easy, and can be used to store and extract data and view one of the colour cameras. VISIOcenter is the most spacious cab on the market. Its central position gives you exceptional 360° vision, perfect alignment on the row and total control of the machine. 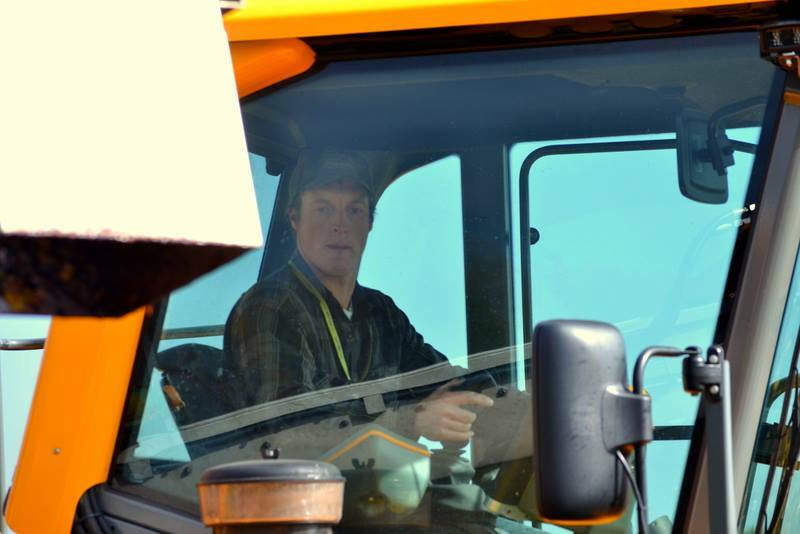 Its comfort-boosting equipment help keep you safe during long hours of work. 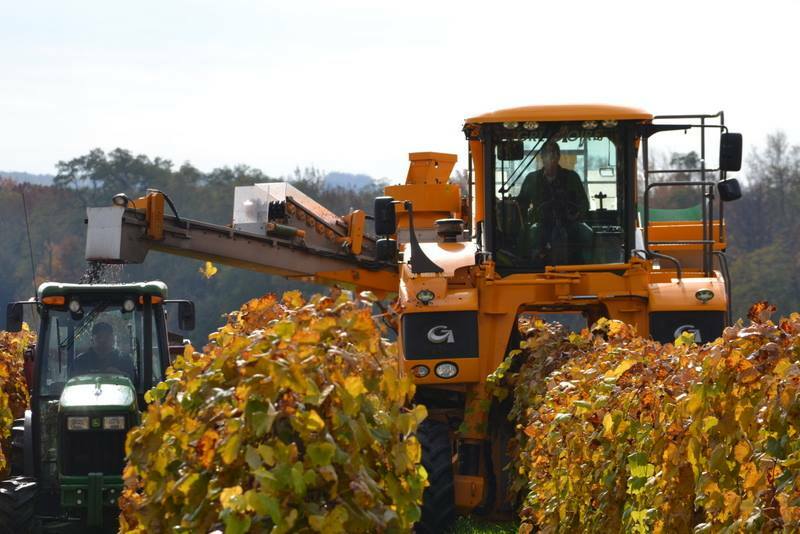 The ARC system harvesting principle ensures high quality harvesting and as yet unrivalled handling of the vine. 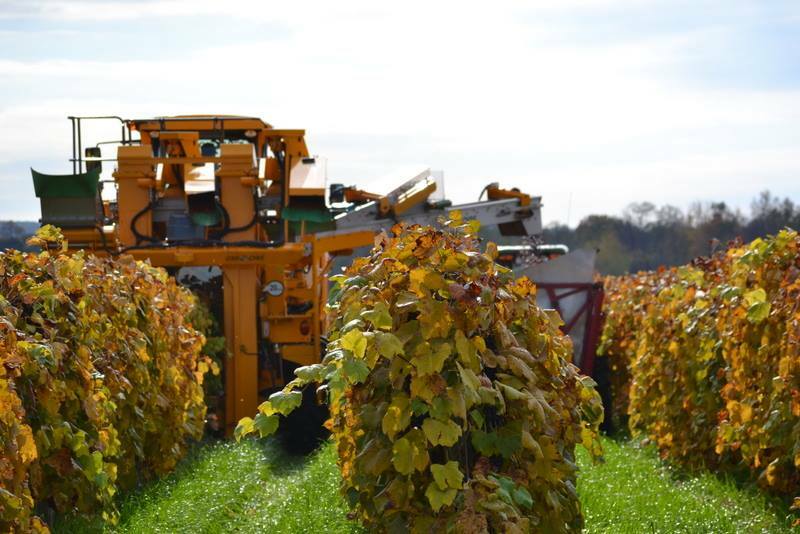 Its exclusive characteristics give you access to an unlimited range of settings, which translates into quick and easy adaptation to any type of vineyard. The ECOdrive system, easy to activate from the joystick during manoeuvres, allows a drastic reduction in consumption. Its end of row sequencing, which can be fully configured, reduces the engine speed and helps increase the service life of your machine by conserving use of its components. 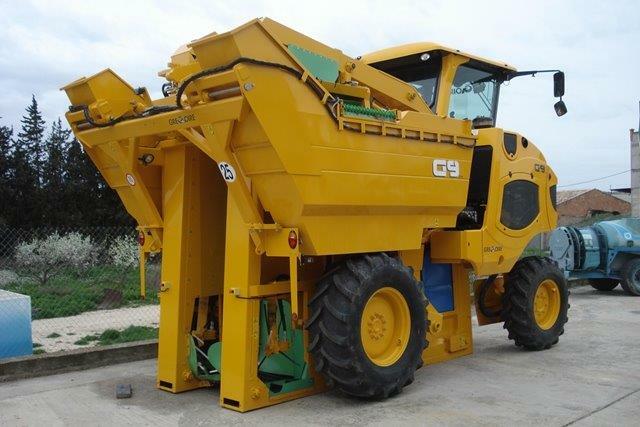 ELITE is a performance pack which is fitted onto the range of harvesting machines bearing the same name. 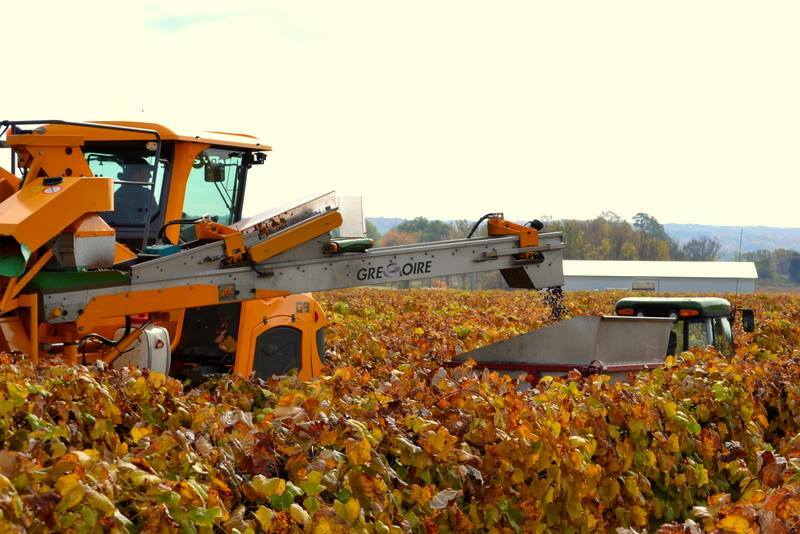 It comprises exclusive equipment which will allow you to optimise the use of your GREGOIRE harvesting machine so that you can get the very best from your vines. AUTOlevel can be accessed from your joystick. Once activated, your machine then automatically adapts to differences in height and difficulties with the terrain. 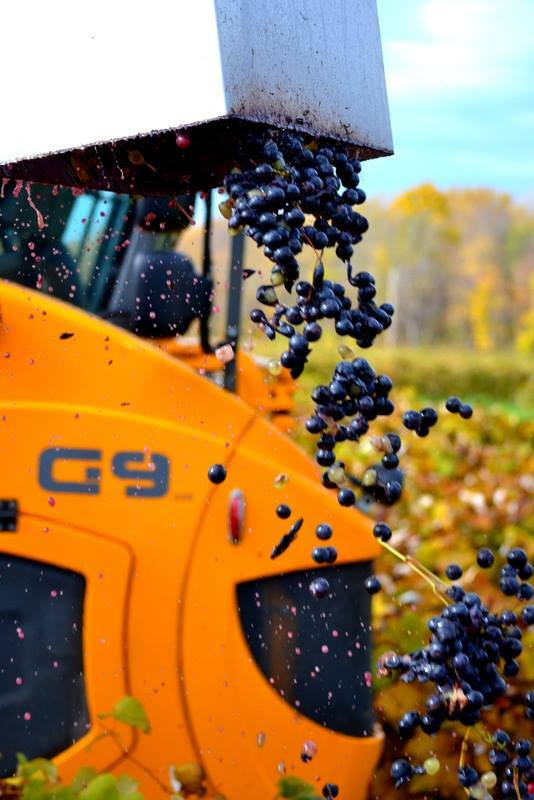 This provides you with greater safety, meaning you can focus your attention on the quality of your harvest.